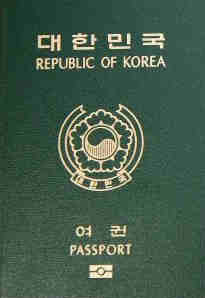 We can help you with immigration to South Korea. Indonesia Visa on arrival 30 days. Visa waiver for South Korean citizens visiting Indonesia is confirmed and will be implemented soon. Myanmar [Burma] eVisa 28 days. eVisa holders must arrive via Yangon Nay Pyi Taw or Mandalay airports. United States Visa Waiver Program 90 days on arrival from overseas for 2 years ESTA (if arriving by air or cruise ship.